This article was last updated Nov 05, 2018, but some terms and conditions may have changed or are no longer available. For the most accurate and up to date information please consult the terms and conditions found on the issuer website. San Antonio-based USAA is known for the services it offers to active-duty military personnel and their families, including credit cards. To get access to these services and apply for membership, you must be active or former military, an eligible family member, a cadet or midshipman. USAA has 65 credit card options, including 58 that support military affiliate groups. If you’re looking for a USAA-branded credit card and want to support an affiliate group, consider the Veterans of Foreign Wars USAA Rewards™ Visa Signature® Card. Like all USAA credit cards, this one offers help to active-duty military who may need financial relief and protections under the Servicemembers Civil Relief Act (SCRA). 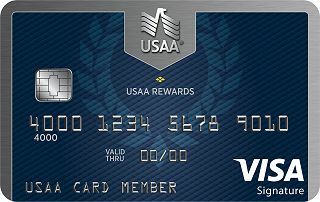 After looking at the sign-up bonus, rewards and perks that come with the Veterans of Foreign Wars USAA Rewards™ Visa Signature® Card, we found that other credit cards can offer a lot more in the way of rewards and parks. That being said, USAA makes donations to the Veterans of Foreign Wars (VFW) each time cardmembers make a purchase. The VFW is the largest and oldest war veterans service organization in the U.S., and helping it can be very compelling for USAA members and cardholders. Supporting organizations such as VFW can be a reason military members and their families get the Veterans of Foreign Wars USAA Rewards™ Visa Signature® Card despite other cards that offer better sign-up bonuses and more points per $1 spent. The biggest plus of this card holds true with any credit card issued by USAA — its strong customer service for military members and their eligible family members. After earning points on the card, you have several options when it comes to redeeming them. You can convert your points into cash that can be credited to your Veterans of Foreign Wars USAA Rewards™ Visa Signature® Card account or deposited into your USAA checking or savings account. You can also redeem your points to buy travel, gift cards or merchandise, or donate them to military affiliate groups. All this is done through the USAA Rewards Service Center, available at usaa.com or by calling 800-980-8722. There’s no maximum on the number of points you can earn, and your points don’t expire as long as your account is open. The card doesn’t come with a purchase intro rate, but there is an intro 0% for 12 months APR balance transfer rate (12.40% - 27.40% Variable APR, thereafter). The balance transfer fee is 3% on balance transfers and cash advances, $200 maximum. 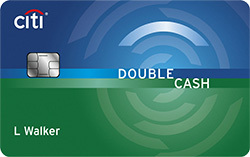 Pay off the card’s balance before the end of the introductory period to save on interest charges. The Veterans of Foreign Wars USAA Rewards™ Visa Signature® Card is a big help for active-duty personnel since they can get special assistance if they’re deployed or they experience a permanent change of station (PCS). During that time, their balance APR drops to 4% on all balances for up to 12 months during deployment or PCS. After 12 months, the regular APR returns at 12.40% - 27.40% Variable APR. If you’re having financial trouble as an active-duty service member, USAA customer service agents are ready to walk you through the SCRA process. The act restricts or limits actions against military personnel on active duty, allowing them to have 4% on an existing balance, including credit cards, until a year after completing active duty. You can also use the card to show your patriotism by picking from nine designs at no charge. You can’t apply for this card unless you’re a USAA member. While the card has a good term for its intro balance transfer rate, you should pay it off before it hits the regular 12.40% - 27.40% Variable APR. If you’re looking for more from a card, such as a better sign-up bonus, more points per $1 spent on things such as travel, dining, gas and groceries, and more travel and purchase perks, then the Veterans of Foreign Wars USAA Rewards™ Visa Signature® Card may not be your best bet. Collision damage waiver coverage for rental cars. (78) Over the Past 60 Days! If the rewards and perks offered by the Veterans of Foreign Wars USAA Rewards™ Visa Signature® Card aren’t as robust as you’d like, then take a look at this card. 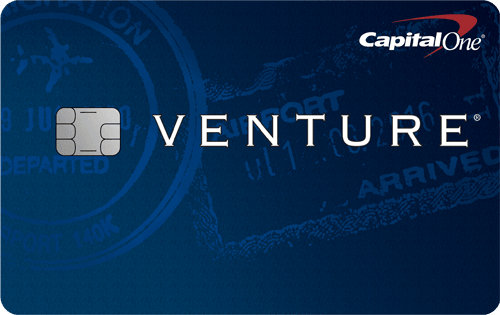 It comes with a $0 annual fee, just like the Veterans of Foreign Wars USAA Rewards™ Visa Signature® Card. New cardmembers Earn a one-time $150 cash bonus after you spend $500 on purchases within the first 3 months from account opening. That turns into $150 that can be redeemed three ways: a statement credit, a check or to cover past purchases or gift cards. You can also set up automatic redemptions, either at a set time each calendar year or when specific monetary thresholds are reached. You earn 3% Cash Back on dining; 3% Cash Back on entertainment; 2% Cash Back at grocery stores; 1% Cash Back on all other purchases. This is better than what’s offered by the Veterans of Foreign Wars USAA Rewards™ Visa Signature® Card, especially in the favored dining, entertainment and grocery store categories. Entertainment covers movies, plays, concerts, sporting events, tourist attractions, theme parks, aquariums, zoos, dance clubs, pool halls or bowling alleys, along with purchases at record store and video rental locations. Dining includes restaurants, cafes, bars, lounges, fast-food chains and bakeries. Grocery stores include supermarkets, meat lockers, freezers, dairy product stores and specialty markets, but superstores such as Walmart and Target are excluded. Card perks include an extended warranty, price protection and 24/7 concierge service, similar to what’s offered by the Veterans of Foreign Wars USAA Rewards™ Visa Signature® Card. Check out our picks for the best rewards cards. The Veterans of Foreign Wars USAA Rewards™ Visa Signature® Card comes with the customer service and attention to detail for military members and their eligible family members by which USAA is known. That, along with USAA’s expertise in handling SCRA protections and its donations to the VFW when using the card, may make it a better choice for military members. 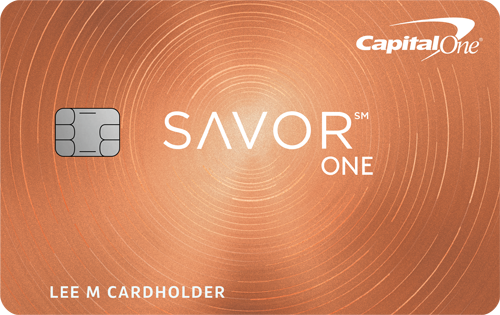 But if you want a card that offers more points per $1 spent in popular categories and a simple way to redeem them, then consider the Capital One® SavorOne℠ Cash Rewards Credit Card.